An early fall cool down this past September and early October, along with some decent run-off has brought some early runs of steelhead into the lower reaches of most Lake Erie tributaries. Most of October has been relatively dry but a good amount of precipitation is forecast for later in the month into November (including remnants from hurricane Sandy). A surprising number of steelhead caught so far have been large (up to 30 inches). One theory is that the mild winter/spring last season along with the early spawn (March) has had a positive effect on both the survivability and health of last year’s run. The result could be both good numbers and size of steelhead this fall (as well as earlier runs). The intensity of the fall run on the tributaries (as always) will be directly related to consistent, periodic run-off episodes with remnants from fall hurricanes and added bonus. Even though Cattaraugus Creek in NY has been exceptionally low most of this fall (due to a low water table) it has had some early fall runner’s including some trophy size steelhead. Expect early fall run-off to be heavily silted (requiring longer time to clear) due to summer silt accumulation. Also, the fall leaf drop usually peaks at the end of October with most leaves clear from the tribs by early to mid-November. On October 24, 2011 the Lake Erie water temperature (degrees F) off Toledo was 53, off Cleveland was 57, off Erie was 57 and off Buffalo was 57. Yearly stocking data can be found on pages 47-49 of the report. Lake Erie Steelhead smolt stocking for 2011 (including a small number of domestic rainbows) was as follows: OH (265,469), PA (1,091,793), NY (305,780), MI (61,445) and Ontario (36,730). 2012 smolt stocking data is not presently available but is similar to 2011 totals. The NY 2011 steelhead smolt stocking was the highest number of steelhead ever stocked in the NY tributaries of Lake Erie by the NYDEC. It is interesting to note that no salmon have been stocked into the Lake Erie basin by any state or province agency since 2003 (the last year for coho stocking by PA) and 1997 (the last year for chinook stocking by NY) but every fall a small number of salmon are caught. Apparently there is a naturally reproducing source for these returning salmon (or other unknown source). Why were the salmon stockings discontinued? Salmon returns into the Lake Erie tributaries were becoming marginal at best. Steelhead demonstrated better growth, survival and return rates and were more versatile feeders (versus salmon) in the rather shallow Lake Erie ecosystem. The end result was discontinuing salmon stocking and managing and developing an interagency Lake Erie steelhead fishery that has now become world famous. The balance of salmonid stocking in Lake Erie includes brown trout (which has seen a recent resurgence with yearly stockings by both NY and PA and lake trout (whose restoration by the US Fish & Wildlife Service /USF&WS has been hampered by the resurgence of sea lamprey populations in Lake Erie). Michael Fodale of the USF&WS is concerned about the adult sea lamprey population in Lake Erie. Presently, there are estimated to be 15 to 30,000 adult sea lampreys in Lake Erie. A parasitic phase sea lamprey can destroy up to 40 lbs of fish during its lifetime. Despite lampricide treatments in 9 Lake Erie lamprey producing tributaries in the spring of 2008 and the fall of 2009, adult lamprey populations are at record levels based on sea lamprey nest counts the last two springs, trap catches in several Lake Erie tributaries and higher steelhead wounding rates. The barometer for sea lamprey populations in Lake Erie has always been lake trout wounding rates. An obvious disconnect exists there now since lake trout wounding rates are declining (except for large lake trout over 736 mm with wounding rates of 163 wounds/100 fish based on survey data in the 2012 Lake Erie Coldwater Task Group Report). Fodale believes a possible recruitment area for sea lampreys in Lake Erie could be the Lake Huron/Lake Erie corridor (St Clair and Detroit Rivers) as well as harbor and near shore areas in the western basin area. Last June (2011), a USF&WS sea lamprey population estimate survey in the St Clair River revealed a larval sea lamprey population of 150,000 (based on 34 surveyed plots of 500 meter square in size). This lamprey population is the only documented, un-treated sea lamprey population in the Lake Erie basin. A mark/recapture juvenile sea lamprey study begun this fall by the USF&WS will determine if tagged sea lampreys released from the St Clair River and several Lake Erie tributaries can survive and show-up in the eastern basin of Lake Erie. Fodale says that if returning marked adult lampreys are captured in any number from the St Clair River this could mean that reproducing sea lampreys are coming from the St Clair River. During 2013, USF&WS crews will work to inventory larval habitat and estimate the abundance of sea lamprey larvae in the St Clair River to determine the magnitude of the population and the best solution (s) if control is warranted. In the future sea lamprey control by USF&WS could include using lab refined lamprey mating pheromones (scents emitted by male lampreys to attract females) to "guide" spawning phase sea lampreys into rivers baited with lamprey traps treated with lampricide. Other plans for Lake Erie sea lamprey control include: A US Army Corp of Engineers study to access the feasibility of repairing or rebuilding the Harpersfield Dam on the Grand River, OH (including lamprey control modifications), construction completion of a lamprey trap at the Scoby Hill Dam on Cattaraugus Creek, NY, and efforts to find a lamprey candidate site on on Big Otter Creek on the Ontario side of Lake Erie. In Ohio, Kevin Kayle of the Ohio Department of Wildlife (ODW) has confirmed that the renovations to the Castalia State Fish Hatchery have been complete. These improvements (including a 900 foot enclosed raceway and a new water condition monitoring system) will allow the ODW to except strictly steelhead eggs from Michigan (as opposed to all fingerlings). The improved quality control of egg incubation and juvenile rearing will hopefully result in bigger steelhead smolts for stocking the Ohio tributaries of Lake Erie. Presently they are averaging about 6 inches with Pennsylvania steelhead smolts around 6.6 inches and New York smolts a rather small 4 to 5 inches (the NY smolts are limited in growth due to the cold water intake of the Salmon River fish hatchery). Too large a smolt can be problematic in that larger smolts can result in pre-mature smoltificaton in the hatchery and not in the tributaries. Kevin Kayle believes that the increased quality control of the newly renovated hatchery could mean increased steelhead smolt production (right now they at 400,00 per year) and stocking additional Ohio Lake Erie tributaries in the future (like Ashtabula Creek, Cuyahoga River and Huron River). But first he says the ODW will have to see how egg production goes now. In Pennsylvania, Chuck Murray of the Pennsylvania Fish & Boat Commission (PF&BC) plans on quantifying the Pennsylvania steelhead fishery with a population study to be conducted at Godfrey Run. The study will use an artificial trap (to be operated 10 times per month) to monitor both adult returning steelhead (September) and emigrating steelhead smolts (March). 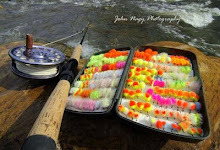 A new PF&BC angler diary program will also be initiated to determine catch rates on the Pennsylvania tributaries. Murray says that this fall on the Pennsylvania tributaries multiple year classes of brown trout should be arriving (the fall of 2009 was the first year for the PF&BC brown trout stocking program). This past spring 30,000 brown trout were stocked with a total of 29, 015 planned to be stocked this fall. All these fish are Rome NY hatchery strain browns, which the NYDEC also uses in its Lake Erie brown trout stocking program. The Western Pennsylvania Conservancy has acquired 92 acres of property from the Fairview Evergreen Nurseries. The property (which is located ½ mile south of Erie Bluffs State Park) includes access to Elk Creek and will be open to the public for fishing and recreational activities. The Pennsylvania Steelhead Association will host the 2nd annual Great Lakes Steelhead Expo on November 3, 2012/11:00 am to 5:00 pm at the Rainbow Gardens, Waldameer Park, Erie, Pennsylvania. This past October, the PF&BC completed an easement agreement with the Lawrence Park Golf Club allowing steelheaders to fish upstream of cables (to Route 5) on Four Mile Creek. The completion of a fish ladder (July 2010) and natural rock cut bypass channel (December 2011) on the golf property has facilitated steelhead movement past Route 20. Good access is provided above the golf course property at Napier Township Park and Wesleyville Borough Park. Steelheaders should be aware that a 100 ft. zone below the fish ladder is off limits to fishing. In New York, Jim Markham of the NY Department of Environmental Conservation (NYDEC) relates that the NYDEC’s September 2011 to May 2012/Angler Creel Survey (for the Lake Erie tributaries of Western NY) has been completed. 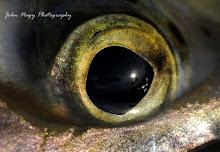 The data collected showed overall catch rates increasing from .54 fish/hour in 2010 to .70 fish/hour in 2011. This was similar to 2009 catch rates and higher than the long term average of .51 fish/hour. Markham says the runs are better now (2012) in Western NY than 2 years ago (2010). His says the sub-par run 2 years ago was also characteristic in PA and OH. The Chautauqua Creek Dam Modification Project was completed this past August 2012. For the next 3 years, Jim Markham will conduct a fish passage survey (above the modified low level dams) to compare with pre-project data already collected. He will also be looking at any differences in wild steelhead natural reproduction with previously collected data. The primary goal of the project was to facilitate steelhead passage above the dams and encourage wild steelhead natural production in this upper water (where ideal spawning and rearing conditions exist). A 2009 study by Markham showed young of year (YOY) steelhead were the highest in a 3 year sampling period at a site below the dams. Also, YOY densities at a sampling site above the dams were comparable to the most productive sites below the dams in past years. A steelhead otolith microchemistry study by Jeff Miner and Chris Boehler of Bowling Green State University (BGSU) has shown that an amazing number of returning adult steelhead sampled in various NY Lake Erie tributaries (both spring and fall sampling) were of PA and OH origin (approximately 75%). Surveyed streams included Chautauqua and Cattaraugus Creeks. -70% of the almost 2 million steelhead smolts stocked in Lake Erie each year are from PA and OH (NY stocks approximately 300,000 steelhead smolts into its NY Lake Erie tributaries). -PA and OH stock numerous of their steelhead tributaries near river mouths (February-April), often during high flows, which may force smolts into Lake Erie thereby affecting straying into NY tributaries. -The small size of NY smolts (110-130mm) versus the desirable stocking size of >160 mm could have an impact on NY smolt mortality. -Most NY steelhead smolts are stocked farther upstream putting them into competion with naturally reproducing steelhead juveniles (the study showed that less than 10% of NY returning adult steelhead were of naturally reproduced origin). BGSU plans to do more steelhead microchemistry work in the future to better understand the dynamics of returning adult steelhead to their release tributaries. They will also be looking at emigration of steelhead smolts from the Lake Erie tributaries as well as sea lamprey attach rates. The Cattaraugus Creek Restoration Project is still ongoing with a new US Army Corps. Of Engineers project manager on board to oversee the project. Results of a feasibility study (to be completed in 2014) will determine whether to remove, modify and/or repair the Springville Dam on Cattaraugus Creek. Surplus Skamania steelhead from the Salmon River Fish Hatchery were stocked in the Cat this past spring (in addition to the bulk stocking of Salmon River Strain juvenile steelhead) but the NYDEC does not anticipate a repeat stocking this coming spring. 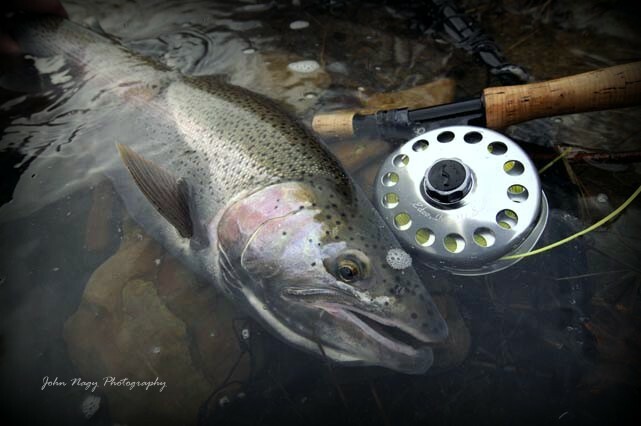 Surplus Skamania steelhead have been stocked in the Cat seven of the last eight years. Steelheaders should be able to distinguish them from the Salmon River Strain by an adipose and left pectoral fin clip made by the NYDEC. A regulation proposal allowing multiple hook points on the Lake Erie tributaries has been adopted by the NYDEC for implementation on October 1, 2012. This new reg will legalize dropper flies (including tandem flies) as well as spinners and spoons with treble hooks for steelhead fishing on the Lake Erie tributaries. More detailed information on steelhead fishing in the Lake Erie region can be found in John Nagy’s book “Steelhead Guide, Fly Fishing Techniques and Strategies for Lake Erie Steelhead”. 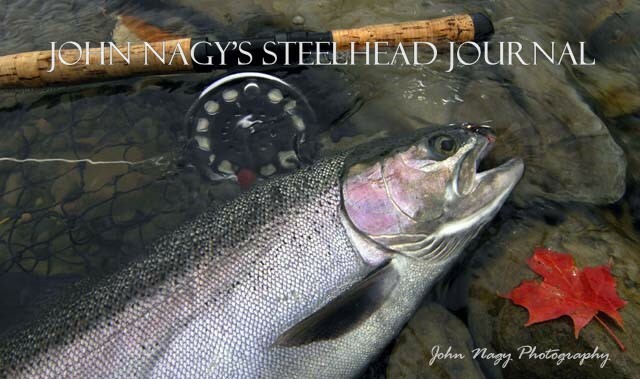 Steelheader’s looking for a detailed way to keep track of their steelhead adventures should check out John Nagy’s new book the “Steelheader’s Journal”.